Who needs a publisher anyway? Kickstarter gets you the money and one good trailer and the game will be viral. Besides once you’re on Steam Steam that innovation award is just around the corner. Indie development and self publishing has never been easier. Or has it? 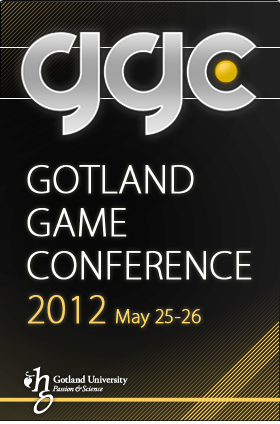 In 2007 Shams Jorjani got his start in the Swedish gaming industry as an organizer of Swedish Game Awards. He joined the publishing team at Paradox Interactive in 2009. In his capacity as a business developer at Paradox Interactive Shams is responsible for making existing projects find their place in the market, finding and signing Paradox next weird game and ensuring that it follows the company’s mantra- “Making games that we’d like to play ourselves. Prior to joining the company Shams worked on several cancelled AAA-titles at Avalanche Studios. Shams almost graduated from the Royal institute of Technology with a bachelor’s degree in engineering – much to the disappointment of his parents.